2015 JcrOffroad Open House & Jeep Show! 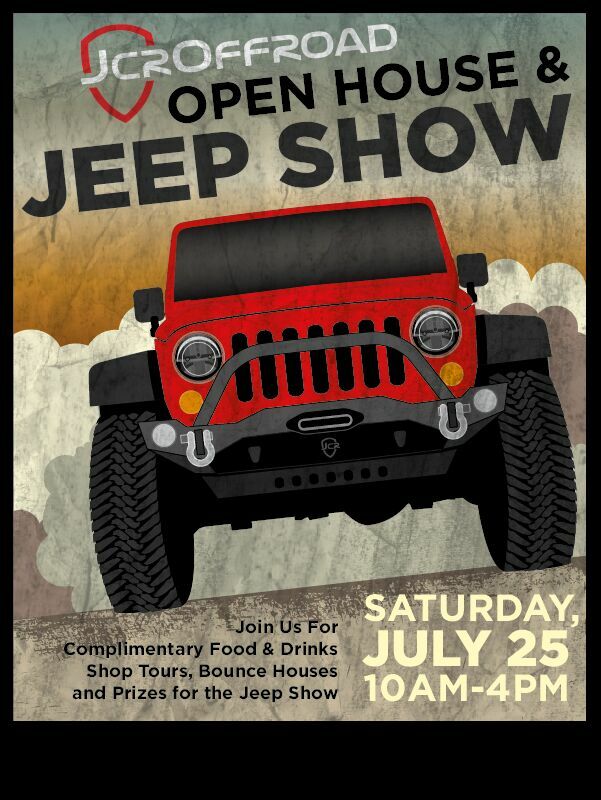 On July 25th, 2015, between the hours of 10am-4pm, We will be hosting our Annual Jeep Event! This year will be an Open House and Jeep show. Free food, Shop Tours, Activities for the Kiddos and more! Trophies for the Jeep show; Best in Show, Best Beater, Best Trail Rig, and BOOM MALLRATED, selected by Handicorn! We will also be having a large giveaway featuring amazing parts from many of the leading manufactures around the country!